We all know that Almonds are loaded with nutritional values. You find this nut everywhere. This Nut contains all nutrients such as Protein, Vitamin, Fiber, Omega 3 & 6 fatty acids, potassium, zinc, magnesium, calcium and so on. Everyone suggests that eating almonds every day improves our health and beauty. But we should know how many almonds needs to consume and how it can be consumed. According to Almonds.com, You can eat one ounce, which is 23 almonds on a daily basis. Raw almonds are generally very hard to consume. It would make the digestion very difficult. The brown skin of almonds contains tannin which inhibits nutrient absorption. Our body cannot breakdown this enzyme-inhibiting compound. Soaked almonds are more healthy. In order to absorb all those nutrients, the almonds you eat, should be soaked in water overnight. 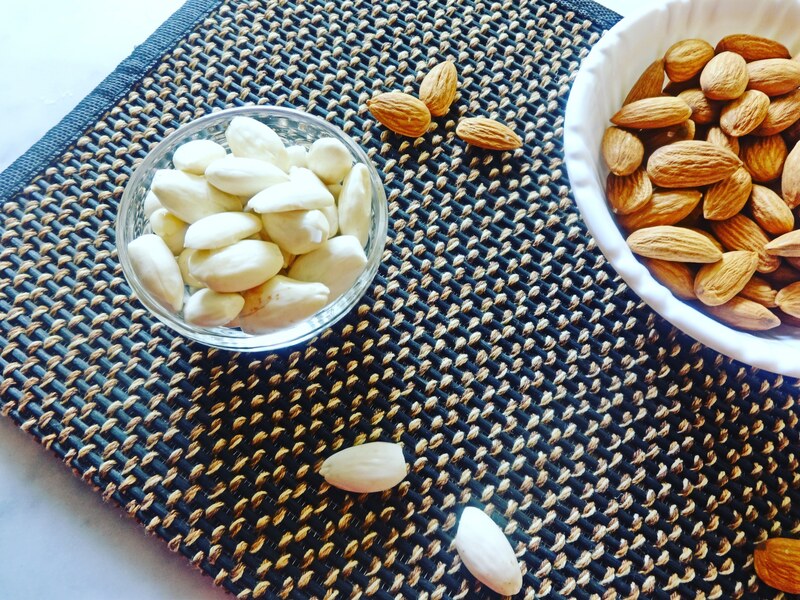 Once you soak almonds the peel comes off easily and allows the nut to release all nutrients easily. Take some 20 almonds in a cup of water, cover and allow them to soak for 8 hours or overnight. Next day, the size of the almonds would have been increased, drain the water, peel off the skin. Instead taking almonds alone on an empty stomach. Add with vegetables, fruits and with other nuts. Instead, taking 20 almonds at one time, it’s good to consume morning 10 and evening 10. It reduces the bad cholesterol and increases the good cholesterol level. Vitamin E present in soaked almonds, it helps to prevent aging and its antioxidant prevents inflammation. Vitamin B17 present in soaked almonds, it prevents cancer. It also maintains the glucose level and regulates the blood pressure. Soaking almonds help in digestion, The monounsaturated fats in almonds keep you full and it helps with weight-loss. Soaked almonds contain folic acid, which prevents birth defects. It boosts your energy and improve the brain function. It’s a good source of calcium and its strengthens bones and teeth. Vitamin E, it reduces the skin damage and it increases the glow. It strengthens and nourishes hair, It reduces hair fall, dandruff and promotes hair growth. Paleo Diet – Go back to your ancestors days !! Cheers to the right way of eating. Quite an informative post Malini ! Great educative post, Malini. It’s must be a coincidence that even my mom was asking me to follow this ritual not a hour ago. Thank you so much. That’s nice. In my case, My husband was asking me to follow this and he was also insisting on soaked almonds, Through him I got know the difference. Anyways it’s a good thing. Please do take soaked almonds every day. Hahaha, thanks to them we could know the difference. Yes sure, Malini, I’ll do it from tomorrow. She too was insisting on the soaking part. a friend of mine does ea​t this…..
Great post on almonds! Thanks for sharing! I had never heard this before. Thanks for sharing. Soaked almonds are not only nutritious but good on taste too. But I have always heard that you should have them empty stomach. Very useful information!! !thanks for sharing!! !